Come experience and learn how self-care exercises can improve your body mechanics in your practice and revitalize a fit and healthy you. For self-care, we will explore stretching and chakra rebalancing. We will then practice examples of proper body mechanics around the massage table to benefit your body and uplift your energy. 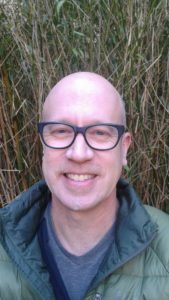 Rhys Webb has been practicing massage therapy in Bellingham, WA since 2002. He trained at the Brenneke School of Massage and has additional training in Medical Massage and Myofascial Release. For the past six years, he has been a massage instructor at Whatcom Community College in Bellingham, WA. In his free time, Mr. Webb likes to play his guitar and practice yoga.